This is one of the most entertaining and easiest to read baseball autobiographies in existence. That meeting at the “brand new” D.C. Stadium in ’62 was poignant. JFK, at age 45, was the youngest President ever. 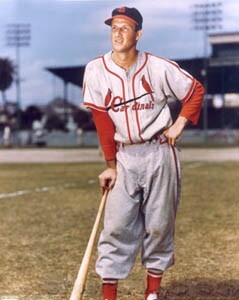 Musial, at age 42, was in the midst of hitting for a .330 average w 19 HR’s. They both defied the odds. Musial defied the odds over his entire career with a performance so consistently excellent it may be unmatched — in its consistency. Stan got 1,815 hits at home in St. Louis — and exactly the same number — 1,815 — on the road. That’s over 22 seasons, friends. He batted .325 in April, .323 in May, .334 in June, .327 in July, .327 in August, and .344 in September. Wow ! He left the game with the MLB record in 17 different hitting categories – including most extra-base hits and total bases. Not bad for a guy originally signed as a pitcher, eh ? Musial’s story is a link to the past. He writes how negotiations between Players and Owners after WWII made “tremendous” improvements to the pension plan, and even resulted in bus transportation from hotel to ballpark, meal money increased to $8 a day, two uniforms provided instead of one per season, and families being allowed to travel to Spring Training with Players. Yesteryear’s gritty players bear little resemblance to today’s player-tycoons. This book is a must-read for Cardinal fans. Musial’s loyalty and affection for his teammates resonate. He pays tribute to Enos (Bosco) Slaughter, Harry “The Cat” Breechen, Terry (Tee) Moore , and Johnny Mize. Stan states that the St. Louis front office pre-empted an extended era of excellence by unloading Mize and others. The Cards went to 4 World Series between 1942 and 1946. Musial says they should have gone to 4 or 5 more. Had they kept their team together, they would have given the Yankees a run for their money as perennial champs. They were stacked with players, and this book familiarizes us with all of those talented Cards. Stan has a knack for making and keeping friends. Dickie Kerr, the little lefty who won two World Series starts for the 1919 Black Sox, was Musial’s first Manager. That gig was at Class D Daytona. Kerr and his wife Pep took a liking to Musial and his wife Lil, even boarding them at their rented house in Daytona. Musial’s first child was named after Kerr, and the two couples remained close until Dickie & Pep’s death in 1963. Musial was a fairly erratic hurler when he got to Daytona, but Kerr guided him to 18 mound victories that year, and wisely played him in the outfield between starts to showcase his batting for Cardinal scouts. Stan’s life turned on small things, chance meetings, strong influences. Some say happiness lies in being good at your work and being good at getting along with others. I think it was Freud and Erickson who said it. Love and work, that’s what it’s all about. Clearly Musial is great at both. Baseball fanatics should do themselves a favor and read this book, if only to appreciate this low-profile superstar. The book, like the Man, gets an A+. 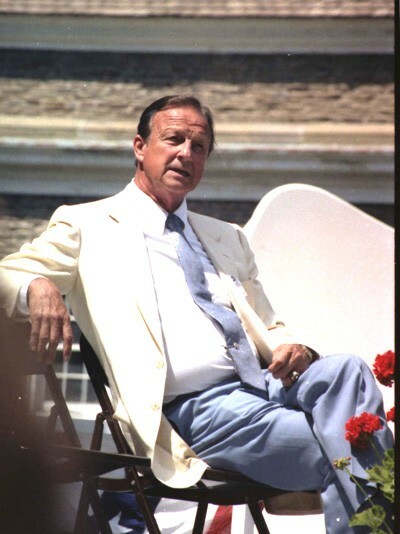 You can shop and/or learn more about Musial at his web-site, www.stan-the-man.com/ He will be 88 years young next Nov. 21.